Mention Nashville to anyone and one thing comes to mind: country music. Nashville is not only the epicenter of this uniquely American cultural phenomenon, but it’s where music across genres is written, recorded and performed. Live music, heard everywhere, year-round, gives the city great energy. It attracts creative, interesting people and has a young, trendy vibe. 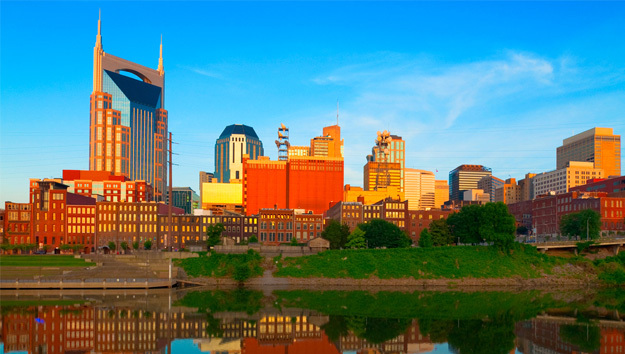 Nashville has another side too – a rich cultural and historical heritage, lovely countryside, historic antebellum homes, a visual arts scene and, true to Tennessee’s folkloric moonshine history, fine whiskey distilleries, craft beer breweries and wineries. You can have a great time hitting the highlights in two days with this itinerary. Get around to the famous music sites and more on an Old Town Trolley Tour. Fifteen stops along the route and hop off/hop on privileges get you around to see what you came to see. The drivers know their stuff and are entertaining too. They point out sights, talk about them, tell stories and let you know what’s around each stop. The Country Music Hall of Fame and Museum is an all-things-music immersion into two centuries of America’s music genre, and the perfect introduction to “Music City.” The permanent exhibit is a great multilayered, multi-sensory journey through country music from its 19th century folk roots to today. Compelling rotating temporary exhibits that focus on different aspects and people of this uniquely American genre. Ask about purchasing an additional ticket for a tour of historic RCA Studio B (2 hours touring the Museum, and an extra hour if you opt to add the Studio B tour). Hatch Show Print is the oldest working letterpress print shop in America has created prints for top music artists since 1879. See iconic prints in the Haley Gallery, see how they are made in the production shop; pick up a Hatch Show poster in the shop (45 minutes). Walk along Lower Broadway, lined with Honky Tonk Clubs, where legendary country music artists got their start – Tootsies Orchid Lounge, Wildhorse Saloon, The Stage are just a few. Have lunch with rockin’ music at one of the many laid back Lower Broad restaurants – Southern-style pulled pork, sides and sweet tea at Jack’s Bar-B-Que; burgers at Honky Tonk Grill in Robert’s Western World; all-American casual in the retro atmosphere of Paradise Park Trailer Park Resort … the list goes on (1.5 hours + lunch)! Music lovers, history buffs and vinyl collectors, a stop into Ernest Tub Record Shop is a trip into the world of vintage recordings and a one-stop shop for CDs, DVDs, and LPs of a wide variety of contemporary and classic country music. 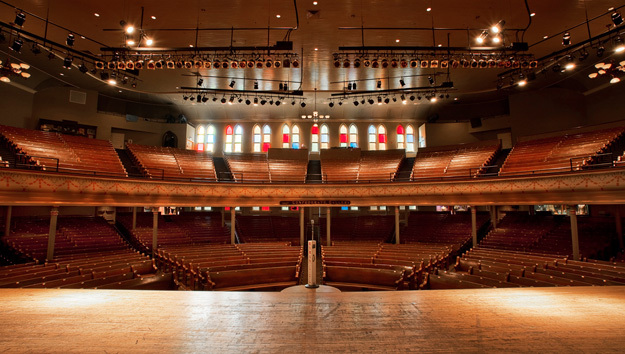 Take a self-guided tour of the “Soul of Nashville,” the legendary historic Ryman Auditorium. 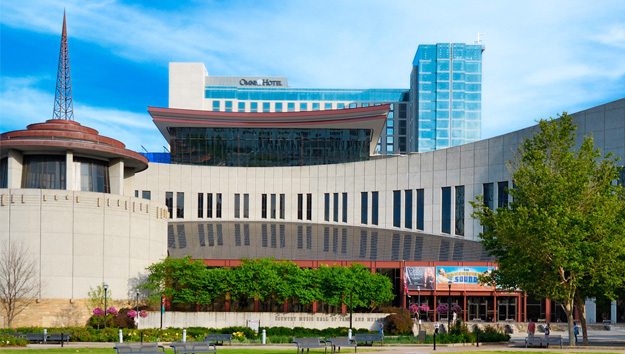 Walk through the beautiful auditorium with unrivaled acoustics where music greats have performed since 1892, and where “Grand Ole Opry” radio show was first performed (1 hour). Book tickets for Opry Country Classics, a celebration of music led by celebrity hosts and performed by guest stars. Tour the grand 36 room, 19,000 square foot mid-1800s Italianate Belmont Mansion, one of the most elaborate antebellum homes in the South. Furniture, paintings, silver, china, statuary and decorative pieces throughout the home offer a glimpse into life before, during and after the Civil War. Note: The last guided tour departs at 3:30pm. See why locals live and hang out in Nashville’s hippest neighborhood, a once industrial area just beyond The District. Look no further than its dynamic vibe, upscale, eclectic restaurants, some of the city’s best, art galleries, funky boutiques and even a high-end signature boot store. Have beer from the source in the Taproom at Yazoo Brewing Company, Wed-Sat. afternoons and early evenings. Grab an early dinner at one of the food trucks in their parking lot. Craft beer fans, try Hops + Crafts or Jackalope Brewing Company. Or, have hand-crafted drinks and tasty treats lounging on a rooftop with a skyline view at Up a Rooftop Lounge. Keep it fun and simple with hot chicken, local brew and live music at Party Fowl. If you’re there before 2:45 pm, Arnold’s Country Kitchen’s good ole Southern Meat-‘n-3 meal is hard to beat. After you’ve toured the city at night, you should definitely go to some of Nashville’s over 100 clubs, bars and venues where live is played. Nashville Scene is the best resource for up-to-date info on who’s performing where and when. Take a 25 to 30 minute drive south of downtown Nashville to a cluster of interesting places within 10 miles of each other. Loveless Café. Start the day out right with a true Southern home-cooked breakfast which starts with warm, straight-from-the-oven home-made biscuits. Franklin. Head over to quaint Franklin to walk off breakfast checking out the eclectic mix of small local shops along Main Street. As they say in Franklin, it’s Real Food, Real People and Real Atmosphere! Carnton Plantation. Spend the rest of the morning traveling back into history on a 1-hr tour of the home, and more time on your own exploring lovely sprawling grounds, a beautiful garden, slave quarters, large smokehouse and two Civil War cemeteries of this beautiful place with a moving story. It’s a real must-see experience. In 1826, Carnton Plantation was a sprawling family farm raising lifestock just outside of tiny rural Franklin. Its place in history was etched by chance on November 30, 1864. On that fateful day it was the site of one of the last and deadliest battles of the Civil War, the Battle of Franklin. The house and grounds became the largest field hospital for the staggering number of wounding and dying soldiers. Two acres of the property, McGavock Confederate Cemetery, became the final resting place for 1500 Confederate soldiers killed during the battle. Arrington Vineyards. Wrap up Day 2 with wine tasting (and Music on the Vines on weekends) at Arrington Vineyards in picturesque rolling Tennessee wine country. Several tasting options in the rustic tasting lodge, from Classic Tasting, a sampling of 4 wines to over-the-top, behind the scenes Premier experience, make it a relaxing, fun time. Hungry? Picnic Tasting is 4 wines of your choice, with notes on each and crackers, delivered to the outdoor bistro and picnic tables with gorgeous hillside views. Add a perfect picnic pairing with cheeses and sausages purchased in the tasting lodge. Or, for a real treat in a wonderful atmosphere, inquire ahead about ordering a gourmet food basket to be delivered for your picnic.